Lights That Change are ‘rooted in Post-Punk, Dream-Pop, Shoegaze and Gothic cultures of early 4AD.’ The Welsh based band have just released a new EP, Fighting Boredom are impressed. You put this record on and feel the darkness creeping in, the Robert Smith like guitar sound swirls around you, the loose bass makes you sway and the drums summon in the groove. The beats are slow and delicate, very deliberate and as I have said, dark. They say that they hark back to the old days of 4AD, not a bad place to hark back to, but with ‘Dark Narrows’ they have moved that Gothic pop scrawl on into the here and now. The deliberate confusion at the heart of ‘All That Matters’ moving away from the measured music of the title track. The vocal is breathy, dreamy and just a little off centre, a little bit away from the norm. Moving the music on from its roots and into the clouds. There’s little sun here. A band’s choice of covers often can define them and to choose an OMD pop gem like ‘Souvenir’ is very fitting, it’s made more ethereal and delicate than the original ever was. ‘Driver’ winds around itself and the ending ‘……………’is empty and cold, a strange six-minute wash of noise held together with a slow beat and hi hat tap. It’s compelling and very nightmarish. The EP is just a taster for their album and with that in mind, it does leave you wanting a bigger slice of this music. 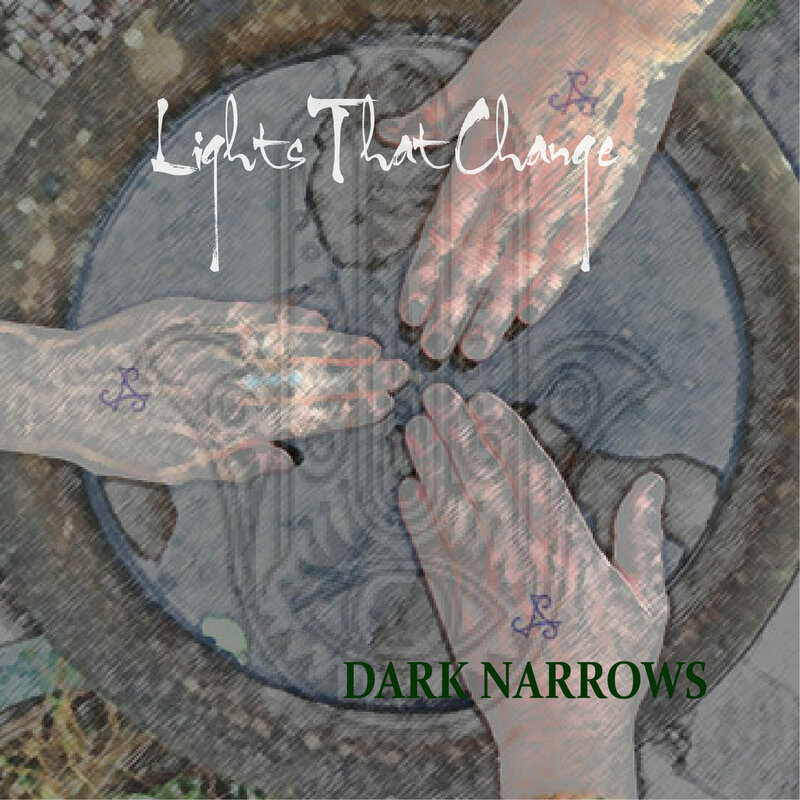 You can buy the EP from the Lights That Change Bandcamp Page. They are also on Facebook and Twitter.